Continuing on our burger quest in Brisbane back in November we headed across the road from our hotel to Miel Container. They came with a high recommendation from a few sources. 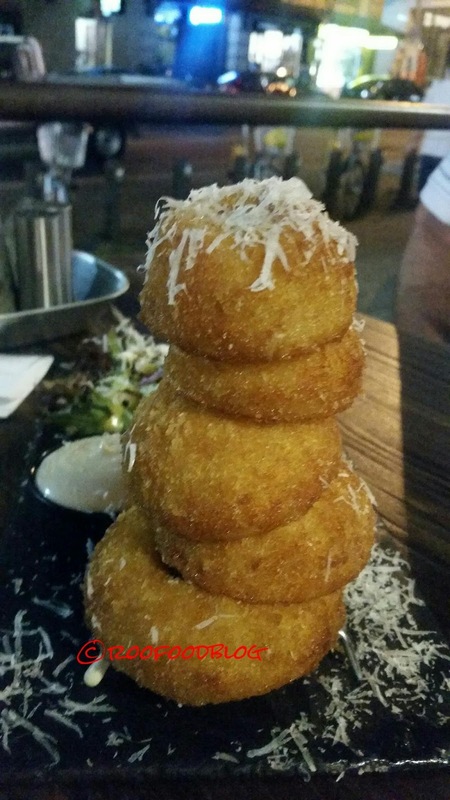 We grabbed a table overlooking the footpath and immediately knew we would order the Massive hand cut onion rings. Look at that tower! Crunchy, golden and thick onion rings coated with a lovely crumb and so addictive! The Boy never passes up pork burgers and goes with the Miso Pork Belly - a mountain of marinated pork belly on a brioche bun with lettuce, spiced gherkin, red onion and aioli. This is very good. 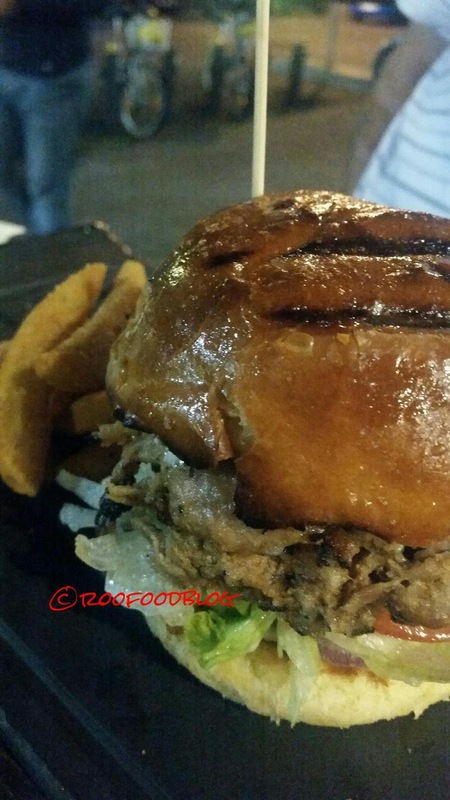 The pork is sweet and tender and a huge mouthful is very much appreciated! I have gone with something complete different and go for the Crunch Prawn burger - A big crumbed prawn patty, brioche bun, spiced gherkin, lettuce, tomato, grilled pineapple, cheddar cheese with tartar and cocktail sauce. 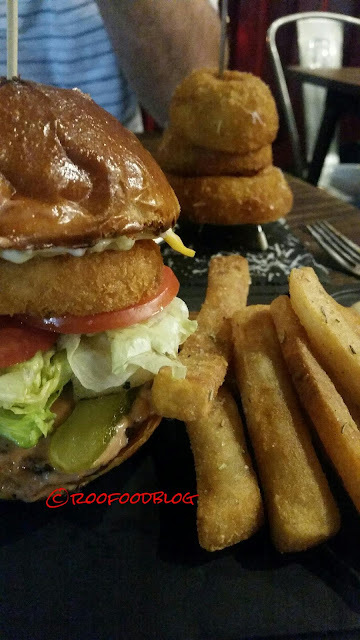 Definitely a burger to try in Brisbane!